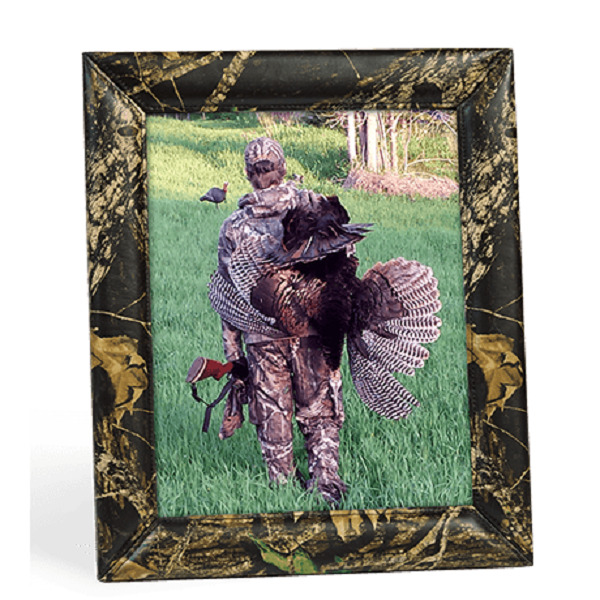 A high quality leather picture frame - comes in 2 camo designs - Mossy Oak Break-up and Advantage Hardwood. Perfect for capturing your young hunters first harvest or remembering a hunting trip. Also perfect for gift ideas!